On the Friday before this past Thanksgiving, the President signed HR304, otherwise known as the Protecting Patient Access to Emergency Medications Act. In a year in which dysfunction would have been an improvement in the political world, this important legislation was passed in a bipartisan manner. As EMS physicians, we have a unique view. We look at our population as a whole – not necessarily individual cases and certainly just unique disease processes and specialties. We are not responsible for one patient at a time but an entire community. This is why advocacy matters. We have a responsibility to do what is right for our patients and as system-thinkers, we have a unique responsibility to do what we can to enhance the system. This is especially true when it comes to advocating on behalf of our patients and our system and this is why we helped create and advocated for HR304. In January of 2015 I was completing my term as President of NAEMSP. We had been discussing issues regarding the management of controlled substances in EMS for years. The only consistency was inconsistency. In some locales, EMS Medical Directors were required to get a separate DEA license for every location that stored controlled substances of any variety. Some EMS agencies were required to get a distributors license because they “distributed” controlled substances among their various rigs and stations. It was in this context that the Drug Enforcement Administration’s policy/regulatory section approached the EMS community proposing to create a set of rules specific to EMS. We were pleased that there would possibly some consistency and excited to hear that the DEA was reaching out to the EMS community. During the NAEMSP meeting in New Orleans we had the opportunity to meet with the DEA’s policy personnel As we sat in my presidential suite in New Orleans it became increasingly clear that we had a problem. The DEA’s authority comes from the Controlled Substances Act. The CSA was written two years before Johnny and Roy premiered on television (for you youngsters – Johnny and Roy are a reason many of us ended up in EMS). The law didn’t anticipate the use of controlled substances in a mobile environment and without a physician present. Ultimately, the DEA stated that the CSA had some very specific guidelines as to when controlled substances could be delivered. The crux was this, all orders for controlled substances had to be “patient-specific.” There couldn’t be a “standing order” that allowed non-physicians to deliver controlled substances without an order given to them directly by a physician in real-time. When we suggested that the new EMS rules could allow this, the DEA representatives appropriately pointed that they could not write a rule that was counter to the requirements of the statute. The only way to get rules that made sense was to change the law. NAEMSP had seen the importance of advocacy many years earlier. Dr. Richard Hunt correctly identified that EMS had been left out in the cold when there was a large increase in preparedness funding following the attacks on 9/11. Law enforcement and operational fire had received specific funding lines. Medical preparedness was focused on hospitals, who controlled local distribution of federal funds. He asked a staff member of his local congressman why was EMS left out and the answer was simple: EMS had no one at the table when decisions were being made. NAEMSP realized that caring for our patients required being involved when policy was made. A spot at the table requires resources, which NAEMSP was unable to afford by itself. As a result, Advocates for EMS (AEMS) was born. Advocates was born from a desire to be provide a “Generic EMS” advocacy arm. NAEMSP sought to bring the “alphabet soup” of EMS organizations together to provide a patient-focused advocacy outlet separate from some of the issues that may divide us in EMS. Early on, the National Association of State EMS Officials (NASEMSO) was a key partner. Later on, the National Association of EMTs (NAEMT) was the major partner. This allowed the organizations to pool resources and invest in professional lobbying along with a more strategic legislative focus. AEMS adopted many strategies as it strove for relevance. Early on, AEMS sought to ensure that “report language” and grant requirements included EMS. It was successful in these endeavors and some small victories were helpful to the EMS community. Ultimately, AEMS attempted to get more aggressive and developed the EMS Field Bill. This bill was large and meant to be impactful. It called for a formal Federal “Home” for EMS that was in Health and Human Services (not NHTSA). It led to significant discussion and even controversy in the EMS community – but did not achieve passage. Ultimately, trying to run an “Association of Associations” can be difficult. Each association has a slightly different “twist” on EMS issues and more importantly, different processes when it comes to setting legislative goals. As this became more difficult, AEMS had to come to end. This does not mean AEMS was a failure. In fact, it was quite the opposite. EMS associations realized that “You must be present to win.” Having a presence in Washington, DC is imperative or national policy will roll right over you. Based on this experience, NAEMSP decided that it needed to invest its resources into a permanent presence in Washington. This brings us back to the DEA. Shortly after NAEMSP formalized its own government affairs plan by creating an Advocacy Committee and contracting with Holland & Knight as our DC representation, it became apparent that any regulations regarding controlled substances would negatively impact patient care. This is not because regulations are inherently bad, but because the CSA was not designed for prehospital use. Because of the lobbying experience available to us from our Holland and Knight partners, we were able to identify a Member of Congress willing to listen to us and take up our fight. Representative Hudson from North Carolina heard us and, as a result introduced the Protecting Patient Access to Emergency Medications Act. We tried our hand at Advocacy. NAEMSP members starting contacting Congress. Additionally, we quickly partnered with ACEP and NAEMT – both of whom activated their membership on the issue. NAEMT agreed to make the bill a priority on EMS on the Hill and members of the EMS community walked the hall of Congress to advocate for a bill in which NAEMSP led the development. Our issue almost got done in 2016 – which would have been amazing. But politics prevailed, and the bill didn’t pass. Representative Hudson didn’t give up and he reintroduced the bill in the House and Senator Cassidy introduced the bill in the Senate. This time, the pieces fell into place and the bill was passed by both the House and the Senate, and signed by the President. To some it was a small thing, but using protocols or “standing orders” for EMS to deliver controlled substances was now legal. Presence in Washington would have a direct and positive impact on the provision of care at the patient’s side. Be present at local and state meetings, especially when EMS issues arise. Here’s the crazy one – RUN FOR OFFICE. Imagine a world in which your county commissioner is an actual EMS physician? It could be a game changer. We can provide information but only when holding the levers of power can you truly make change. In EMS, we are system-thinkers. Our primary objective is to improve the care of patients in our entire community. We cannot assume that lawmakers will understand the intricacies of the care we provide or the barriers we face in achieving our primary objective. We must be at the table. EMS Physicians need to be drivers of the EMS system and recognize that we are a Mobile Community Healthcare Provider and not providing medical direction to a fleet of glorified Ubers. This seems like a total “no-brainer,” yet we find ourselves grappling with problems like Ambulance Patient Offload Delay (APOD, aka Ambulance Wall Time) that we should never have allowed to happen. If, in your system, APOD is not a problem, then I suggest you stop reading this and migrate over to your Facebook account because you must be the Medical Director of the Shangri-La EMS system. For those of you who share my system’s difficulties, I am going to blow your mind…we often blame the hospitals for APOD, but the fault lies with us because we depended on the hospitals to fix a problem that they have little incentive to address. Meanwhile, despite the fact that EMTALA gives us firm legal ground to hold hospitals accountable, our inaction on the issue has led the problem to fester to the point of ridiculousness. EMTALA is quite clear about who bears responsibility for patients that present to Emergency Departments. The 250 yard rule has always been a bit difficult for me to understand, especially when it means that my ER is responsible for a “patient” in the Burger King Drive-Thru across the street. Regardless, there is no question that a patient belongs to the hospital the minute the ambulance wheels stop. So, the ambulance enters the ER doors, passes through the gauntlet of parked ambulance gurneys a volley of offcolor remarks from our inebriates, and vomiting in stereo from our flu patients, and our patient finds their way to the triage nurse. With the state of ED’s these days, it would be laughably unrealistic to expect them to have a space for our patient, but when did this become an EMS problem? Our shared experience is that the triage nurse, in true pirate captain form, shanghais the ambulance crew and sentences them to hours on the wall as unpaid members of the ED staff. Part of this comes from a mistaken belief by some that the patient remains the responsibility of the EMS crew until such a time as the ED is ready to accept the patient, and part of this is sheer desperation at paralyzed ED and hospital throughput. But, again, when did this become an EMS problem? If the EMS call volume was ever too high, would it be OK for us to kidnap 2 ER nurses and put them on an ambulance? Why is the opposite any more reasonable or palatable? Is this a game of chicken with the hospitals to see how long our crews will wait on the wall until we direct them to start leaving? None of this speaks to the ethics of a formalized handoff of patient care. I certainly understand the importance of providing critical care, and I recognize that sometimes ED’s need a few minutes to rein in their chaos. I do not suggest that ambulance patients be placed on luggage carousels in the ambulance bay to be claimed inside (or not), but the kindness and patience of EMS crews has clearly been taken advantage of. EMS and ED work is a team sport, but the ED has become a Kobe Bryant-like teammate, that takes all the shots and glares at any dissent. When did 10-15 minutes of acceptable waiting become 4 hours? When did the priorities of the ED outweigh the importance of insuring that someone shows up when communities dial 911? Perhaps the root of the problem lies in our background as hospital workers and our sympathy to the ED. So, I cannot raise a problem without proposing a solution. The answer truly is fixing hospital throughput, and I spent 4 years on various hospital committees championing just that, with uninspiring results. How about if the hospitals hire their own EMTs to hold the wall with these patients…the standard of care is the same, but, at least the hospital bears the cost and the community gets its ambulance back. The hospital can carve roast beef in the ambulance bay if it wants to, but their overcrowding and failure to address their throughput issues really isn’t an EMS problem. Until we hold the hospitals’ feet to the fire, they have no incentive to fix the problem. So, when people ask you how much APOD time is acceptable, the answer is zero. This is a hospital problem that demands a hospital solution. We wait out of courtesy and support for our ED partners, but our patience is wearing thin. The day we start walking out when our clock runs out or when it hits the hospital’s pocket book is the day the hospitals will engage. At the end of my third year of residency, I was in the process of solidifying my decision to pursue a fellowship in EMS. I was on rotation in the Medical ICU and we were having an informal conversation about plans following residency. When I stated that I planned to pursue an EMS fellowship, the ICU Attending asked what it was. EMS is the subspecialty of medicine that encompasses provision care beyond the borders of the hospital, at the level not only of individual patients but the entire community. That the care was not limited to 911 response in the traditional sense, but also public health, community education, disaster preparedness, provision of continuity of care following hospital discharge and in fact, to every critically ill patient transferred to his very own ICU. From then on, I pulled up available EMS records on every admission to point out the critical and often life-saving interventions provided to patients before they entered the hospital borders. My mission was to highlight the scope and importance of care provided by EMS providers. I am not sure if this ICU attending – and the countless others who stated that they have never heard of an ‘EMS fellowship’ - were unaware of what EMS stands for. I think that they did not recognize the term in the context in which it was presented; they did not recognize it as a physician subspecialty, let alone a practice of medicine. I’m sure that those who did not recognize the term ‘EMS fellowship’ would expect a prompt and competent medical response if they were to call 911 from their living room or public place. In the grand scheme of things, EMS is relatively new. Accidental Death and Disability, which spurred the development of both EMS and Emergency Medicine, was only published a half century ago. EMS was only approved as a physician subspecialty in 2010, with the first board certifying examination offered in 2013. Like many developments that are also relatively young– the internet, cellular data network - EMS has become an assumption of peoples’ lives. Much like the delayed knowledge translation window between quality research and change in practice, moving the behemoth of the house of medicine to change the way it thinks is a long, arduous and inefficient process. 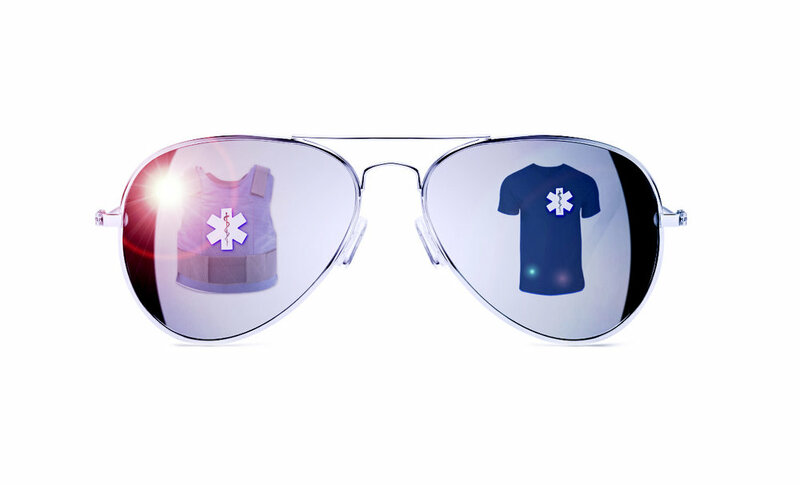 When it comes to recognition of EMS as a practice of medicine, we need to speed things up. Advocacy for our specialty is advocacy for our patients. While small steps have been made, the defacto situation is that EMS is reimbursed as a taxi service, mobile integrated healthcare programs are stunted, EMS providers are disrespected and underpaid, national certification of EMS providers fails to be 100% nationally accepted, EMS research is still underperformed and underfunded, hospitals fail to share outcome data and operational metrics rule assessments of EMS quality. There are many different approaches to changing the status quo. EMS physicians and providers with significantly more experience and knowledge than me are pursuing those routes. But as someone new to EMS (a lab nerd turned emergency physician who caught the EMS bug mid-residency), I can tell you that part of every approach needs to be explaining the specialty of EMS not only to the public and lawmakers, but to our colleagues in medicine. I have now given talks on the principles of and barriers to Mobile Integrated Healthcare in a limited number of venues – three different EM residencies and a conference on healthcare overuse. In every situation, audience members have been surprised and inspired by how EMS can be used to provide patient-centered care with decreased healthcare utilization. They have been similarly frustrated by the payment by transport model. They have shared in our vision for a truly integrated healthcare system. For our healthcare system to meet its potential to improve the health of our communities, it must be transformed. Many of us became EMS physicians because we wanted to be part of this transformation. Those of us who took the EMS Boards in September are anxiously awaiting exam results. Many if not most of us put ourselves through the exam not for better pay or a new position, but because of dedication to the specialty – to the knowledge that we can positively influence the lives of an incredible number of people by improving the quality of care they receive on a system-wide level. It’s time that our colleagues in medicine understood what we actually do. One could say that MacGyver is the patron saint of EMS. Prehospital professionals pride themselves on innovative solutions to patient care. Most frequently this takes the form of the work that goes into delivering a packaged patient to the right hospital in a timely manner no matter where, what time of day, and in what situation they originally presented. Less frequently, but no less importantly, this takes the form of innovative solutions to patient care on a system-level. Occasionally, this requires modification of a scope of practice limitation caught under statute or regulation. Anaphylaxis is a potentially lethal multi-system allergic reaction triggered by an exaggerated immune response. The signs and symptoms of anaphylaxis include bronchospasm, urticaria, pruritis, angioedema, gastrointestinal symptoms (diarrhea, nausea, cramping), cardiac arrythmmias and hypotension [Figure 1]. These symptoms occur on a clinical continuum and can develop over time. Most anaphylaxis occurs in the prehospital environment. Source: Simons, F. E. R., Ardusso, L. R., Bilò, M. B., El-Gamal, Y. M., Ledford, D. K., Ring, J., ... & Thong, B. Y. (2011). World allergy organization guidelines for the assessment and management of anaphylaxis. World Allergy Organization Journal, 4(2), 13. While the majority of states allow BLS providers to administer epinephrine, they require that it be administer in the form of an epinephrine auto-injector (EAI). Here in New York, the exponentially increasing cost in epinephrine auto injectors made it difficult for agencies to keep them stocked on their emergency vehicles. Despite the financial challenge posed by EAI, we knew that we couldn’t absolve such a lifesaving drug from our medical supplies. It would be unethical and harmful for our patients. We needed a solution (pun intended). The Check & Inject NY project was born out of an increasing need for an alternative to the epinephrine auto injector. Several other states had used a lower-cost solution to the epinephrine auto-injector problem: syringe injectable epinephrine. A 2016 survey of all 49 states (excluding Texas because of variability in practice within the state) identified 13 states that allowed BLS providers to draw up epinephrine from an ampule and administer it by syringe . At the time of the survey, 7 other states (including New York) were considering instituting training programs. The idea of having basic EMTs draw up epinephrine seemed to be the best solution to the auto injector price hike. After reviewing the syringe-injectable epinephrine project developed by King County Medic One in Seattle Washington, we decided to have a specialized syringe manufactured to prevent dosing issues. We worked with CODAN Medical ApS, a company based in Denmark to develop a syringe with just two gradations on it, one for pediatric patients and the other for adult [Figure 2]. With this simple change, we avoided dosing errors throughout our project. We quickly realized that given the distribution size of this project, it was unrealistic to put together and distribute all these kits ourselves. We entered a partnership with Bound Tree Medical to keep up with the demand for our kits state-wide. Through this partnership, we also provided a seamless transition to prevent further delay for our agencies to obtain the cost effective Check & Inject kits. In EMS (and medicine in general), an intervention is only as useful as the training and quality assurance that accompanies it. The Check & Inject NY team created several different tools to be able to make this project successful. We created an entire training program for each agency participating to ensure each provider was refreshed on the use of epinephrine and when to choose adult over pediatric dosing. This training included a skills station in which each provider familiarized themselves with the syringe, the process of drawing up epinephrine, and the process of intramuscular administration. Additionally, students were provided pre and post tests, whose purpose was to evaluate the training and not necessarily the provider’s knowledge of the learning objectives. This was to ensure completeness of the training program so that we were able to provide uniform education not just to local participating agencies, but to agencies statewide. As quality assurance was a key component to our pilot program, we established a physician phone line that enabled us to have an on-call physician 24/7 for each administration during the pilot program. Once the provider used the syringe epinephrine kit, they were to call this phone line to discuss with the physician about the administration process as well as potential concerns. The physicians then entered the data to a Research Electronic Data Capture database (REDCap) allowing the agency to maintain HIPPA compliance. Additionally, the phone alert itself, triggered a replacement kit to be sent to that agency at no additional cost. In the active demonstration project phase, 638 agencies participated across the State. There were 83 administrations of check & inject epinephrine. All administrations were deemed indicated by physician consultation and none resulted in injuries for the patients or providers. It was found that kit usage was also utilized for asthma exacerbation. This lead our team to add asthma exacerbation as another Check & Inject kit indication. Interestingly, a provider reported that a patient stated that the syringe epinephrine kit was a less painful than an EAI as a method of receiving the medication. On May 24, 2017, the project was formally adopted by the New York State Department of Health Bureau of EMS and Trauma (BEMSAT) with the support of the Commissioner of Health through the issuance of Policy 17-06. This was a tremendous achievement and expansion of the BLS scope of practice in New York State. The Check & Inject NY demonstration project is the largest of its kind ever undertaken in the State’s history, requiring collaboration on the part of many individuals. Many other states across the nation have inquired about our project and are looking to start ones of their own. Patient care starts with basic life support and should not be limited by the outrageous and unnecessary hikes in medication cost. Rising drug costs, shortages, and evidence-based medicine require us to change our practice in order to do what is best for our patients. The importance of training and quality-control cannot be underestimated as we advance practice to ensure that our best-intentions are realized. 1. Kemp, S. F., Lockey, R. F., & Simons, F. E. R. (2008). Epinephrine: the drug of choice for anaphylaxis--a statement of the World Allergy Organization. World Allergy Organization Journal, 1(2), S18. 2. Pumphrey, R. (2004). Anaphylaxis: can we tell who is at risk of a fatal reaction?. Current opinion in allergy and clinical immunology, 4(4), 285-290. 3. Sampson, H. A., Mendelson, L., & Rosen, J. P. (1992). Fatal and near-fatal anaphylactic reactions to food in children and adolescents. New England Journal of Medicine, 327(6), 380-384. 4. Yunginger, J. W., Sweeney, K. G., Sturner, W. Q., Giannandrea, L. A., Teigland, J. D., Bray, M., ... & Helm, R. M. (1988). Fatal food-induced anaphylaxis. Jama, 260(10), 1450-1452. 5. Rea, T. D., Edwards, C., Murray, J. A., Cloyd, D. J., & Eisenberg, M. S. (2004). Epinephrine use by emergency medical technicians for presumed anaphylaxis. Prehospital Emergency Care, 8(4), 405-410. 6. Jacobsen, R. C., & Millin, M. G. (2011). The use of epinephrine for out-of-hospital treatment of anaphylaxis: resource document for the National Association of EMS Physicians position statement. Prehospital Emergency Care, 15(4), 570-576. 7. Brasted, I. D., & Dailey, M. W. (2017). Basic Life Support Access to Injectable Epinephrine across the United States. Prehospital Emergency Care, 1-6. I suppose I am biased. Like many of the readers, I got my start in medicine working as an EMT on the UCLA EMS ambulance in college, and, I entered medical school with the intent to become an Emergency Physician. I have been actively involved in EMS since I was first bitten by "the bug" (yikes, 23 years), and I have always seen my understanding of the local EMS system as fundamental to my Emergency Medicine practice. When I was in residency, my classmates used to tease me (rightfully) as an EMS geek, but I always viewed EMS personnel as an extension of the ED, and knowing their protocols and practice was akin to knowing how our ED nurses manage our patients. EMS providers are as much a part of my treatment team as the ED nurse, tech, secretary, radiology, lab, etc. So, why don't more of our ED colleagues feel the same way? Why don't more of them take an active part in understanding the basics of the local EMS system in which they practice: scope of practice, treatment protocols, destination criteria, etc? The American Board of Emergency Medicine (ABEM) and NAEMSP have taken the critical step of establishing a Board Certification in EMS, and I realize that our subspecialty is still in its infancy. Many of our physician colleagues, and, unfortunately, many of our fellow EP's still do not know that EMS Board Certification exists. What frustrates me is the lack of understanding by EP's that this whole knowledge set exists. As an example, consider the interfacility transfer for STEMI patients. Our EMS system in Los Angeles County has had STEMI centers for more than 10 years. Since very early in our STEMI program, we recognized that our ED's could not get a private transport ambulance quickly enough to get STEMI patients to the cath lab quickly, so, by policy, they are permitted to call 911 to facilitate transfer to STEMI centers. Yet, we often find that our ED physicians start nitroglycerin and heparin drips on these patients prior to calling 911; with a clear lack of understanding that our paramedic scope of practice does not allow for such interventions. Los Angeles County also allows for "911 re-triage" of trauma patients under specific circumstances in order to get them emergently evacuated from non-trauma hospitals to Trauma Centers. Despite the very clearly defined criteria, only about half of the calls we receive for 911 re-triage actually meet criteria. And, for the patients that do, we often find them receiving blood transfusions or IV infusions (propofol, etc) which are out of our scope of practice. When we share the EMS Agency policy with the ED administration, it is often apparent that they have little to no idea of its very existence. Unfortunately, this lack of understanding is apparent even from California ACEP. In December 2015 and January 2016, Cal ACEP went on the warpath against Community Paramedicine and Alternative Destination projects citing a lack of data around their safety. Their stance was that people who call 911 are "actively seeking access to emergency care, where their EMTALA rights can be realized." But, Cal ACEP also noted that its mission is "to support emergency physicians in providing the highest quality care to all patients and to their communities." But, we (EMS Physicians) are Cal ACEP members and emergency physicians too, and these are our patients and communities. Prior to making its stance, Cal ACEP did not reach out to its EMS constituents for comment or input, and their stance demonstrates a lack of appreciation for the challenges faced by the EMS community. To their credit, since its publications, Cal ACEP has begun to engage with the EMS physician community. So, how do we solve these issues? As the trailblazers in this new subspecialty, we need to pound the pavement and advocate for EMS. If we don't, then the Emergency Medicine (EM) groups will remain our proxy. We need to engage with groups on all sides and demonstrate the value that we bring to the table. This includes the EM groups, but also primary and urgent care, fire chiefs, firefighters, EMS groups, law enforcement, political groups, etc. We can have a loud voice, but only when groups remember to think of us, and they remember to think of us when they see us out there...so get out there and show up at meetings...until people start asking, "who is that guy that keeps showing up and eating our cookies and drinking our coffee?" I was wrong. EMS is far more than an extension of the ED into the community. EMS is a mobile, community healthcare provider with its own patients, challenges, and values that sometimes transports sick patients to the ED. We care deeply for the communities we serve and the integrity of our EMS safety net. We fill a complex niche in community health that is completely distinct from the EM system. I am proud of my EMS Geekdom! We all know about the various codes they call in the hospital: Code Blue, Code White, Code Pink, etc. We have even made up a few codes of our own, aka Code Brown. But, not enough of us know about Code Green. It's not a new name for patients on 4/20 or from Colorado or California. It's about recognizing the leading cause of active duty death in our First Responders...suicide. I have come to believe strongly that we train ourselves and our EMS brothers and sisters the wrong way. When I look back on my training as an EMT (and Medical School and Residency), I received exactly zero training in mental resilience and zero preparation for the calamities I would bear witness to. In fact, my department followed a now discouraged practice of forcing us to see a psychologist for a debriefing after any traumatic call. Hopefully none of your departments still require critical incident stress debriefing since we now know that forcing it upon our folks can be counter-productive. But, what can we do, because we need to do something...the data is staggering. According to the Firefighter Behavioral Health Alliance (FBHA), from 2014-2016, there have been 374 suicides among active duty firefighters, compared with 268 Line of Duty Deaths (LODDs). This data likely understates the problem, since data for suicides is shared voluntarily while LODDs are reported mandatorily to NIOSH. Research has shown that first responders' rate of suicidal ideation is 10x that of the general public, while firefighters' rate is more than 12x. The risk of suicide attempts is 13x higher for first responders and 30x higher for firefighters. The risk of successful suicide is more than 2.5x that of the general public. And, unfortunately, the data is not much better for us Medical Directors because Emergency Physicians also have an increased risk of suicide, though not as bad as the first responders. I think that the problem boils down to 2 cultural issues we need to face. First, we need to reconsider the whole way we think about the horrible things we experience. We all carry with us the memories of the horrific tragedies we have cared for, the mistakes we have made, the times we have been threatened or assaulted, and we have all experienced having to suppress our emotions for the sake of moving on to the next patient. We see things and experience emotions, quite often, that the lay public never experiences. No matter how resilient you may be, these exposures leaveboth temporary and permanent impressions upon your soul. What do we do to prepare our folks during their training, and how good are we at monitoring our crews throughout their careers? The military, faced with a suicide epidemic, has incorporated resiliency training to soldiers preparing for deployments, and they have seen some decrease in post-traumatic stress disorder (PTSD). While EMS has embraced many military technologies and practices into everyday care, resiliency training has lagged behind. There are many healthy ways we use to cope every day, including the tight comeradery among us. Many of our departments, mine included, have incorporated Peer Health Counsellors, Chaplains, and access to Psychologists, but it is still largely dependent on self-referral. Unfortunately, beyond the comeradery of our profession, the culture also includes some worrisome practices. Substance abuse is high, especially with the work hard-play hard mentality. The same comeradery that binds us can lead folks that need help to be afraid to ask for it because they are afraid of being ostracized, thought of as weak, of being laughed at, or of being fired. And so, they laugh at our jokes and sit quietly during our stories, and they begin to isolate themselves. After all, they signed up for this, and working in EMS becomes more than your profession. It becomes who you are, and what if you don't know if you can continue to be who you are anymore? The other cultural problem that we need to face is the way we treat errors. This is not unique to EMS and is true throughout the practice of medicine. I think that we all tire of the analogies to the airline industry, but the success of their cultural change around safety has been remarkable. In my own department, if we avoid serious mistakes 99.99% of the time, then we will still commit 36/year...a number that most critics would argue is far too high. But, can anyone really expect even that level of performance from human beings? We need to get out of the cycle of our name, blame, and train approach to performance improvement. No system punishes its way to greatness. In fact, only a poorly designed system would ever allow a single, unchecked mistake by a provider to lead to a patient catastrophe. Our culture of punishing for mistakes only leads to their concealment for fear of reprisal, and so our system remains stagnant rather than getting safer. We set such unrealistically high expectations for our folks, that the guilt of a mistake reaps a terrible toll on our folks, and they practice in fear. In the words of Jeff Skiles, the lesser known co-pilot of the USAir plane that landed in the Hudson River, "It is vastly more important to identify the hazards and threats to safety than to identify and punish an individual for a mistake." So, what are the answers? We need to educate ourselves and our folks about the warning signs of our brothers and sisters in crisis. We have to educate them early in their careers and renew it often, and we need to maintain a culture that encourages members in crisis to step forward. We must build layers into our systems to protect both our patients and our caregivers, because no individual error should ever lead to catastrophe. That way, the crews on the front lines can step forward and help us build a safer system rather than practicing in fear of making a catastrophic mistake. Lastly, let's mobilize behind the critical work of organizations like the Code Green Campaign, FireStrong, etc. and make sure that our folks all know that they are out there. We must all remember that we are all vulnerable to mental illness. The burden of our deceased brethren was not unique to them. Sometimes it just takes one bad experience to put us over the edge. It happens to folks in the beginning, middle, and end of their careers, and it can progress rapidly. There are often warning signs, and there may be an opportunity to intervene and get them the help they need. What sets them apart is not their circumstance, it's that we did not recognize their crisis and respond to them in time. Suicidal ideation is a treatable illness, and suicide is preventable. The ER system is a sinking ship, EMS can be part of the solution. In the late 1960's, most pre-hospital care was provided by primary care physicians. As hospital care became more sophisticated and Emergency Medicine began to develop, the focus began to shift to transporting patients to hospital Emergency Departments, and EMS began to provide emergent treatment in the field as an extension of the ER. But, the pendulum has swung way back. 85% of ED patients are discharged home, and, while many of those patients benefit from an ED work-up, there is also a large subset of patients presenting to the ED that could be worked up in other, less costly arenas. Research from ACEP has shown that the vast majority of patients that present to the ED are justified to be there, but that just does not jive with my experience over the past 15 years. The problem is that the needs of the healthcare system and the financial incentives of the hospital/ED physicians are not aligned. The healthcare system needs minor patients to be managed in a cost-effective manner, but ED budgets and ED MD salaries are driven by census. I used to try to educate my patients on the appropriate use of Emergency Services, but it is a fruitless endeavor to try to educate millions of Americans, and it lacks any financial incentive for the stakeholders on the hospital side. Instead, ED census continues to rise faster than new beds can be added, reimbursement per patient is falling, and the only answer is to improve ED bed efficiency. But, efficiency has its limits, and, unless financial incentives are realigned, the ED system as we know it is a sinking ship. The ideal hospital ED needs to be reconsidered, and triage needs to be able to route patients along a spectrum of tracks. We cannot expect patients to stop coming to the hospital, but patients with less acute problems can be triaged to the appropriate level of care, including Fast Track, Urgent Care, and Subacute Care. Emergency Departments can be much smaller and can be a service line in a spectrum of services offered by the hospital. Until financial incentives are realigned however, there is no incentive for hospitals to stop routing all patients through the ED, and board certified resuscitationists will continue to bill to see patients that could have been managed in a less expensive venue. If EMS systems do not evolve, then we are part of the problem and are destined to go down with the ship. This death spiral begins with increasing ambulance wall time and ED diversion. But, unlike the ED system, the EMS system is financially incentivized to change its practice. The mobility of our service puts us in the position to offer community based medical care unlike any current hospital or healthcare system. Payers are highly incentivized to reduce the cost of unnecessary EMS transport and ED visits, and they are very open to working with us on innovative new models. We need to stop viewing ourselves as EMS providers and start viewing ourselves as delivering mobile healthcare, with EMS being a service line in a spectrum of care we can offer. Physician Assistants and Nurse Practitioners can be utilized to provide simple interventions in the field setting and redirect patients back to their medical homes. In addition to contacting patients through the traditional EMS system, we can also partner with payers' nurse advice lines to evaluate patients that cannot wait for next day appointments. While none of this is cheap, it is far cheaper than our current practice of EMS transport and ED visits, it saves EMS resources for true emergencies, it can reduce ambulance wall time and diversion, and it can provide a better patient experience. Payers can also partner with us to provide urgent follow-up resources, which are far more cost effective and sufficient for many of our patients. There are may ways that different departments are using mobile healthcare resources in innovative ways to reduce hospital readmissions, perform safety checks on high risk patients, etc. This is the biggest watershed moment in EMS since John Gage and Roy DeSoto went to paramedic school. This is our opportunity to become a stakeholder in the future of healthcare delivery rather than just an extension of the Emergency Department. This is our time to become an indispensable provider of cost effective mobile healthcare. The current EMS Fellowship curriculum emphasizes clinical skills needed to be a competent EMS physician. In addition to medical knowledge, prehospital patient care, and systems-based practice, there are milestones for team and patient centered communication. These milestones focus on communication between EMS physician and EMS providers, EMS physician and patient, but do not expressly focus on communication between EMS physician and the public in general. But unlike many other subspecialities of medicine, EMS is largely performed in public venues, now under the ever-watchful (and recording) eye of social media. When taking care of complex patients in a complex system, it is guaranteed that bad things will happen. When that day comes (and it will), EMS physicians must be prepared to be questioned privately, in public, on TV, in front of a county commission hearing, and who knows where else, about what their role in the EMS system is and why that bad thing happened. Knowing this, we must make sure to prepare postgraduate EMS physicians with additional communication skills that are at best under-emphasized in the current curriculum. These skills are absolutely central to success as an EMS physician specifically, but also more broadly in any administrative role taken on. One of these key skills is “messaging.” A message is a brief, value-based statement aimed at a targeted audience that captures a positive concept. This means that even when addressing a negative subject, the message should be positive. Without a firm grasp on messaging, it is pretty easy to get into trouble in any of a number of ways when bad things happen. 1. Proactively work to get a positive public image. This isn’t too hard to do: EMS are the “good guys” that help people in need. But get that positive message out in front of the public, the funders (county / state government), and whoever else needs to know BEFORE the bad thing happens. Develop a positive relationship with your print / TV media so they know they can call on you for facts when “it” hits the fan. Get a reputation as an accessible expert who is part of a large team of folks there to help the public. Volunteer to do a piece on heat exhaustion in the summer when it gets hot, pool safety for Memorial Day weekend, etc. Every TV station in the land does those same pieces every year, and they will love you for not making them hunt someone down. That way when you almost inevitably end up in front of a microphone / camera on a bad day, at least you will have done it before under non-confrontational circumstances. 2. Always force yourself to write down the two or three bullet points that are the major message you want to get across. You have time to do this no matter what, and it will keep you focused so you don’t wander off down some rabbit hole. Have a “hook” that you can go back and rephrase, reiterate and come back to during the interview to emphasize your point. Remember the KISS principle (Keep It Simple, Stupid). Have a couple strong facts to support your points. Anticipate the negative questions you will likely be asked and have an answer ready. And shut your mouth and stop making sounds when you have made your point. Resist the urge to over-explain. 3. Tell a story that illustrates your point. This works particularly well with legislators and government officials, because it makes it personal and helps explain the problem or issue in a way people can relate to. Example: when explaining change in approach to cardiac arrest to the county commission, do a demo of your new “pit crew” approach, bring a survivor along, and tell them how many more people are surviving and going back to work (not a nursing home in diapers!) because of the great teamwork approach your system is using. 4. Be energetic, authoritative, and human. Don’t hide behind doctor-speak - use straightforward language. You know your stuff – show everyone! For in-person interviews, be very mindful of the nonverbal messages you send and be sure they are in sync with what your voice is saying. If doing a phone interview, stand up and walk around, it gives your delivery more energy and inflection. Be sure the interviewer knows your name (spelling), title, and role in whatever you are being asked to comment on. Feel free to educate them on what a medical director is / does, and also feel free to offer them some questions they can ask you when you are doing a public relations-type piece, so it is more likely that your major points will get across. 5. The microphone is always on. Corollary: there is no such thing as “off the record.” And remember, the 10-20 seconds that ends up on the evening news can be any 20 seconds out of the 5-10 minutes you talked, so don’t stray off message and have comments that can be taken out of context. 6. Most importantly, KNOW YOUR AUDIENCE. Be sure you are tuned in to station WII-FM – “what’s in it for me?”. If you can anticipate what your audience wants to know / is worried about / can connect with and incorporate that information into your message, you can be sure that the message you think you are sending out is also the message they actually receive. For the public, they want to know they are getting the best care possible. For legislators, they want to know that the public isn’t going to complain to them, and that they can truthfully tell their constituents that public funds are being expended wisely, and possibly even that they have supported some fabulous thing that you are doing in your system that has improved patient outcomes. EMS is a uniquely public specialty of medicine. It is therefore of paramount importance that EMS physicians – in –training are taught how to navigate medicine in the public eye. It not only has the potential to save them a lot of heartache, but also prepare them to be more effective advocates for themselves – and most importantly – the patients we serve. If you ever get the opportunity to go to the Media Training offered by ACEP at Scientific Assembly or at the Leadership meeting, definitely do so, it will really open your eyes and give you valuable pointers. There also is considerable in-depth information on this subject in the chapter in the NAEMSP textbook Vol2 Ch15: EMS Physicians as public spokespersons. Growing up, one of my favorite TV shows was “Emergency!” I suspect many of our readers with a few grey hairs share my fond memories of watching Johnny and Roy gallantly saving lives every week while receiving sage advice from Dr. Brackett and Dr. Early when they brought the patients to Rampart ER. It is fascinating to watch the portrayal of the early paramedics and what was necessary to become the first physician surrogates during the birth of EMS. Training was a few weeks long, online medical control was required to defibrillate VF patients, every IV started in the field required permission as well as a 24-hour follow-up report, and an EOA was considered their advanced airway. Fast forward to today, and look at how times have changed! We now expect paramedics to interpret Sgarbossa’s criteria on a 12-lead EKG and, in some locales, initiate thrombolytic therapy for it, perform surgical crics, calculate cardioactive pharmaceutical drip rates, and engage in community paramedicine as part of the continuum of medical care. EMS no longer merely brings patients to health care. EMS is health care. We continually pile more and more expectations onto EMTs as well as paramedics, yet we still treat the profession as a vocational tech skill as opposed to a practice of Medicine. Paramedicine is not skilled labor. It is a medical practice deserving of the requisite training and education worthy of the trust that citizens place in our abilities and, more importantly, our aptitude for decision-making and critical thinking. Such capabilities require an entirely new paradigm in EMS education, yet if anyone dares mention that paramedic licensure should be via a college degree pathway instead of a “certificate,” prepare for an onslaught of naysayers! Something else that struck me about Johnny and Roy is that they had a personal relationship with their medical control physicians. Dr. Brackett did not abrogate his responsibility to teach and mentor his medics to a staff member. He spent time with them, taught them his approach to patient assessment, gave feedback to the crew, and imparted his sense of the sacred trust between a caregiver and the patient. Merely by the tone of their voice over the radio, either party instinctively knew if something was awry or if a patient was going to be particularly ill or a situation particularly difficult. EMS Physicians must find time to break away from the desk and jump on the box or the apparatus, respond unannounced on scenes as a resource and teacher, and spend time in the classroom imparting knowledge impossible to glean from books. As such EMS agencies must recognize that EMS, as a practice of Medicine, requires a compensated physician, ideally board-certified in EMS Medicine, with the requisite time and infrastructure to realize the new reality of this unique practice of Medicine. Government, from local to state, must support medical oversight including having a functional state EMS office and a state EMS Medical Director. Now is the most exciting time to be an EMS provider in the age of Mobile Integrated Healthcare, recognition by the proverbial House of Medicine as a bona fide subspecialty, and the growth of evidence-based protocols and practice where EMS can actually influence hospital policy. It is a quantum leap from where Johnny and Roy started, and we now must begin treating this new frontier with a new vision by demanding more from ourselves and each other.